Greg you are welcome to delete this thread if you care to. I am not going to delete the thread if you are going to rgfrain from being intentionally deceptive and obscure to cover up your shortcomings. All of us have shortcomings. Let's not add lying to the list. If you run into him, tell Reggie I said "Hi". Reading a book and hearing recordings of a practitioner provide absolutely no empowerment, transmission, qualification or attainment whatsoever. You have not and will not make any progress in Vajrayana without a guru. Sadly, we seem to be getting quite a few of these threads recently on DW. On a positive note, at least people can be advised correctly, albeit that few accept it. The guru is Reggie Ray. The empowerment is inside the Sadhana if you can hear it. The oral instructions are within the Sadhana if you can hear them. If you can't generate bliss with Tumo you won't hear them. I have never been formally declared an Arya. The Lama confirmed my experience but he did not say "You are Arya" or Vidyadhara or any other titles. When you see your inner nature there is no one around to say "Good job, you did it". So I did not know I was one. The minutiae of titles and procedures is outside my knowledge. I just kind of had all this fall into my lap. I wanted to practice but once I started interacting with the sanghas, no offense but I don't fit in. Most of you see life through a very different lens than I do. I sort of envy it, because my life is rather brutal and unpleasant, solitary, etc. Reggie Ray is Reggie. I've never met his human incarnation, either. I've met him, but I haven't. Those who have realized will understand. His human incarnation (contacted via email) says it's OK if I practice under him but I wanted to find a more legitimate Kagyu Lineage to join. Unfortunately there is a heavy left wing political viewpoint that has consumed Western Vajrayana. This is why I've been teaching Buddhism to racists and Nazis on the internet: no one else is. However over time I've come to realize there is no role for me to play here, and now I mostly observe. I'm not entirely sure why I created this thread. I was moved to do so at that specific time. I apologize if you find me deceptive. Since I have never been involved in Buddhist culture I don't know what I am allowed and not allowed to say. If anyone in here feels like I'm special or praiseworthy, please, look within. It's within you, within every single one of you. I'm no different from you, if anything I'm probably worse. It sounds so hokey to talk about love. So fake, like "look at me I'm a good boy" virtue signalling. But all we can do to make this place, this moment, special is love each other. This conversation has shown me that things are worse than I'd imagined. People do not seem to understand that Tumo is like a recipe, once the ingredients are combined it just works. Lama Yeshe has said it is ok for Tumo to be practiced. They also don't seem to be aware that Mr. Trungpa's students are still carrying on his legacy of de-religioning Tantra. I have no idea if that's a good thing or not. Absolutely a guru is required. You won't have the necessary dream yoga visions unless the guru is consciously working with you, and so on. I never claimed not to have a teacher. I've had several. Ive worked with a Lama offline, not recorded. H.E. Garchen Rinpoche says recordings work if the student is capable, and he is correct. I understand now that it is rare to be such a student. If there were a "me" here to be proud, I would be, but samsara is, for me at least, still full of suffering so I can't afford pride. I'm not important. All of you are much more important. Unfortunately, due to the current political situation I'm no longer able to work with him. I hope to again, in this or another life. I love him very much. I would rather not post his name, however, as the Internet can be rather savage. I think my shortcomings are pretty well exposed. I started off by declaring I was going to hell. It's funny to think of someone consciously walking the path to hell while trying to hide shortcomings. On a similar note, aggression is a painful path to walk. Passive aggression probably isn't the best either. But I know nothing, so there is no reason to listen to me. There is nothing so humble as going public with your humility. I apologise as an unworthy excrescence for responding so. Seriously, though, I know some Tibetans write a lot about how humble they are once they become teachers, perhaps as a convention. My immediate reaction is not at all one of overwhelming affection for their display of humble sentiments and a desire to prostrate, just a desire to see how well they actually behave - not too well in some cases. Cognitive assonance or just plain asses. Genuine humility is usually easy to spot. For example. A while back I was attending a teaching by HEGR. During it he explained the mantras written on the rubber wristbands he hands out, and said that when people take a photo with him he tries to get the band into the photo “so that everyone who sees it benefits”. He said in passing, “after all who wants to see a photo of an old man, nobody benefits from that”. I don’t think he posts dohas on the internet. Theres time for coming around. Early experiencers on the path can be very confusing, especially when one doesnt have an authentic teacher and sangha to help them. I'm guessing Reginald Ray, there is an audio course by him on the Sadhana of Mahamudra. Going back to the topic of Vajra Hell, there is something odd that happens when you observe yourself as overwhelmingly cursed to negative experience. It's like, imagine your karma as a page in a book, and each negative action you take makes a small black mark. Now imagine the page completely black. You are doomed. There is no chance of redemption. What is the sequence of feelings at the point of realizing all is hopeless? It's like if a terrifying dragon suddenly appears in front of you. Scary. Really frightening. But now imagine a second dragon appears. Then quickly a third, fourth, fifth and so on, until the sky is full of dragons, everywhere, dragons, and you stop and say "OK now this has become a little silly". You see? One very bad thing is a catastrophe. You have to fix it to get life back to a comfort zone. But ten thousand bad things, all at once? You give up. You say "Well it is impossible to fix ten thousand bad things, no one can do that, I will just have tea and not worry because worrying is pointless, disaster is inevitable". You find freedom. Giving up, letting go, is freedom. 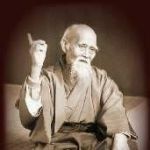 Letting go of self-grasping (and making mental connection to the guru) eventually leads to the experience of what Zen calls "falling away". I think in Vajrayana it is called rigpa. Not entirely sure. Buddhism is a wonderful box. Very spacious. But sooner or later you realize even it is a box. You still practice, you still keep your vows, you still develop bodhichitta, but you stop worrying if you fit into the box, and start expanding, befriending the box, until the box disappears. If you aren't ready to do that yet, don't. It's not for everyone. Some people like boxes. Cats love them. As for this talk of teachers. Reggie Ray is Chögyam Trungpa, Chögyam Trungpa is Heruka Vajrasatta, Heruka Vajrasatta is Buddha, Buddha is the beautiful blue light of the oral instructions, and the fact that I'm aware of all this makes some obvious implications about who and what I am, and who and what I am not. I am not allowed to say "This is who I am and what I have done" on a puublic board. I am fundamentally no one and I do fundamentally nothing, constantly. You are welcome to judge me however you wish. Karma is the judge. I forgive anyone who has mislabeled me. Please forgive me for my failures as well, as I'm sure I make a lot of them. Complete and utter nonsense and gibberish. I have never been formally declared an Arya. The Lama confirmed my experience but he did not say "You are Arya" or Vidyadhara or any other titles. A lama (which lama?) confirmed you had an experience. Great. Time to move on. Those who have realized will understand. So now you are realised as well and us poor ignorant fools cannot hope to understand you. However over time I've come to realize there is no role for me to play here, and now I mostly observe. Now THAT is a realisation. ...I don't know what I am allowed and not allowed to say. You are allowed to say anything you want, as long as you are being honest. Trungpa Rinpoche did not "de-religion" Tantra. Not in the slightest. He just put it into a Western framework (from a religious perspective: Protestant, mainly). You won't have the necessary dream yoga visions unless the guru is consciously working with you, and so on. You'll get over it. Meditative experiences are actually quite normal and widespread. As long as we do not grasp at them we can continue to develop. When we grasp at them we become stuck. Jesus, this is getting ridiculous. Our own dharmawheel arya. Can't wait for Namkhai Norbu Rinpoche start having posts here. Do you guys know under which nick Chatral Rinpoche wrote? I wanna read their posts boosting about how realized they are. Also kinda wonder how nazis took teachings on compassion. Did you have to make a whole "Thou shalt not gass/lynch thy coloured neighbour" rule? As for this talk of teachers. Reggie Ray is Chögyam Trungpa, Chögyam Trungpa is Heruka Vajrasatta, Heruka Vajrasatta is Buddha, Buddha is the beautiful blue light of the oral instructions, and the fact that I'm aware of all this makes some obvious implications about who and what I am, and who and what I am not. I am not allowed to say "This is who I am and what I have done" on a puublic board. Yet here you are, writing dohas and claiming to be on the path of seeing without a human teacher. Look, there are two possibilities here. The first is that you are an exceedingly fortunate being who can achieve this level of realIzation without a living guru and in such a rapid and direct way. We should all be offering you katas and requesting instruction from you. The second is that you’re one of the many people who show up on internet fora who are deluded because you lack proper instruction. Statistically the latter is more likely, probably by an odds ratio somewhere north of ten million (according to the back of my envelope). So if you start saying these things, all rational people familiar with how the Dharma is taught and practiced *should* infer that you are deluded. Don’t take it personally; it’s a rational deduction. If you have received definitive advice otherwise from a lama in a position to make hat judgement, great, bedeck yourself in mud and feathers and share your advice in the marketplace. If not, I humbly suggest that you consider the advice of the other commentors here. I for one have no idea whether you are realized or not, but it matters to me a lot less than it should matter to you. Hey Looking inside...for what it's worth I know that you mean well. Every now and then threads like yours appear and they are often just as much of a car crash for various reasons you might understand if you hang around long enough. Despite the hostility that sometimes appears, there is a lot we can learn here from each other, both directly and indirectly. I hope this inital encounter hasn't put you off for life. It's good that you've mentioned some teachers who advocate the off-line empowerment. I don't know of Reggie Ray but I know that Garchen Rinpoche is highly respected even if the offline empowerment issue is widely debated. Some will say you haven't received a samaya to break and others will say that of course you have. There are quite a few threads on the topic of samaya, online and offline empowerments and some of these also touch on vajra hell. I genuinely think it would be useful for you to check out some of these threads on dharmawheel since there is a diversity of opinion and thought across the whole spectrum that you will have most likely not come across elsewhere. Excuse me if this is blunt but I think you have a very nihlistic and melodramatic outlook on your situation, your suffering and potential future suffering. We are all a bit melodramatic from time to time and sometimes we notice it and sometimes we don't. Samsara is a pantomime, afterall. I only share that observation as I think you are entirely underestimating the severity of what vajra hell is and the lack of practice opportunity found there, afaik. I also think you're overestimating the doctrinal rigidity of topics like samaya and vajra-hell as well as what can be purified and what cannot. I hope it's not too late for you to realize how valuable the time you have left is to clarify every single checked and unchecked assumption about this path. A living teacher you can trust and communicate to straightforwardly would be the best medicine here but until that time, have a browse of the dharmawheel archives on these topics. It might broaden your perspective and you may find you are either not quite doomed for unceasing tormemt just yet or that there are some very concrete actions you can take to ensure that you don't fall off the precipice into lower realms. Even for those destined for hell realms it is said that by the strength of refuge and bodhichitta alone that they will only experience it for a second. The key thing is to look into is whether you have more options than you realize. Good luck with it all anyway and hopefully you get some clarity on everything soon. I also think you're overestimating the doctrinal rigidity of topics like samaya and vajra-hell as well as what can be purified and what cannot. I hope it's not too late for you to realize how valuable the time you have left is to clarify every single checked and unchecked assumption about this path. A living teacher you can trust and communicate to straightforwardly would be the best medicine here but until that time, have a browse of the dharmawheel archives on these topics. It might broaden your perspective and you may find you are either not quite doomed for unceasing tormemt just yet or that there are some very concrete actions you can take to ensure that you don't fall off the precipice into lower realms. Even for those destined for hell realms it is said that by the strength of refuge and bodhichitta alone that they will only experience it for a second. The key thing is to realize you may have more options than you realize. Well, if you are going to invent new delusions, at least yours are big ones! I guess if you perform a Search on 'Find a teacher' or 'Ask your teacher' on this forum you may possibly deduce that you claims are ludicrous, but most people who rock up here with similar claims really don't want to meet one and have their bubble burst. I'm not allowed to say this bluntly so let me ask the following questions. The answers paint a picture. Who, exactly, is Buddha Vajradhara? What is Dorje Drollo's activity most known for? What is a person who unites their mind with the guru and deity called? Is such a person described as "a lotus that has begun to open"? Is such a person considered an "Awakening Buddha"? Is an Awakening Buddha a Buddha? Is every Buddha the essence all Buddhas? Are there any Sadhanas, from any lineage, that Buddha cannot successfully perform? How many points are on the star that forms Vajrayogini's throne? What is the significance of repeating sixes in Christian theology? What is Mara called the demon of? What is the name of the deceiver in Christian theology? Does Vajrayogini have any limitations? Is "recordings don't work for empowerments" a limitation? Can Vajrayogini create loopholes to bypass obstacles? What happens when someone on the Path of the Arhata manages to unite with a deity but turns back at the path of seeing and returns as a Bodhisattva? (The answer to this one is in Gelugpa Yamantaka instructions, I don't know if Kagyu tradition covers it). What happens to Vajra practitioners in the bardo of death? What is a Vajra practitioner who faces death and returns called? When Marpa got angry, did he express that anger openly? if Buddha Vajradhara saw the state of Vajrayana today, and the state of the world, would he be angry? What happens when an Awakening Buddha gets so angry they spontaneously start turning into Chenrezig? What is spontaneous union with a deity called? What is the Lion's Roar? Who performs the Lions Roar? What happens when the Lions Roar is performed and the Dhyani Buddhas combine to form Buddha Vairochana? If you met Heruka Vajrasatta would you recognize him? Can Buddha do impossible things? Can Buddha create a reality, like a pure land? Are there any limitations to that created reality? Are there any limitations to a dream? If you met someone in a dream who insisted they were real, what would you say to them? If you met an entire world full of people in a dream who insisted they were real, what would you say to them? Who created the first samaya? Can the being that created the first samaya change it into less strict samaya on a whim? If you woke up one day and realized you were some Arya Bodhisattva blah blah blah and it just made people turn into poo-flinging monkeys (or an Army of Maras), how would you react? There is no greater compliment you could pay me than to disbelieve me entirely. I didn't even tell you the hard to believe stuff. I'm really blown away. This is the greatest Christmas present ever. I've been alternating between laughing and crying all day because I'm so humbled by the gifts I've been given. I didn't reach enlightenment, the guru led me to it. I did nothing. I don't have words to express the profundity. It's like going to someone's church and they call you a saint, then get mad because they aren't saints yet. I'm no one. I'm not a saint. I'm not noble. I'm semi-homeless, everyone I love is dead or gone, I fail at everything I do. Most people don't even look at me. I'm no one. But I finally do one thing right and everyone hates it and I don't really understand why and I'm sorry and I just wanted to write a poem in the style of Creation & Completion and I thought you all might like it and I put Om Soha on it because it's what happens in retreats and you can deny my inner nature all you want but you're looking in a mirror pointing fingers of accusation because I'm you and we're nothing. So... thank you? I guess? For the confirmation. I understand now why people look at me weird when I tell them what I did. It's all very funny. When the guru gave me the self-generation instructions I laughed so hard I almost couldn't hear which deity he was showing how to self-generate as. Very funny. Ha Ha ha Ha Ho Bhagavan. Merry Christmas. Not sure there really is an appropriate response to OPs last post. Happy tirthika ganapuja day everyone. I didn't reach enlightenment, the guru led me to it. And now you are enlightened too. Right, I think the thread has now conclusively gone as far as it can, after enlightenment what else could possibly be left? If anybody has something remotely sane or rational to add to the discussion, please message me. I am going to leave it here as yet another monument to the undeniably obvious need for a live teacher, when one is trying to practice Vajarayana.